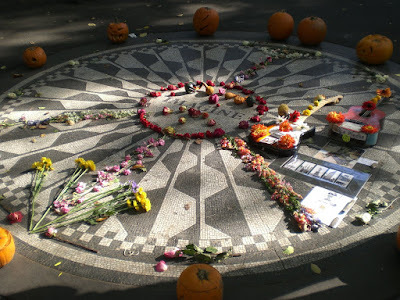 Directly across from where he was murdered on the Upper West Side, a 2.5 acre section of Central Park is dedicated to John Lennon. The centerpiece of Strawberry Fields is the Imagine tile mosaic, which is always littered with fresh flowers. The creation of the tribute area was underwritten by Yoko Ono.